Travellers please note that almost all shops and supermarkets are legally required to be closed on Good Friday (14 April 2017) and Easter Sunday (16th April 2017). Some exceptions include petrol stations, small local convenience stores (known as the local Dairy), and some takeaways and restaurants. 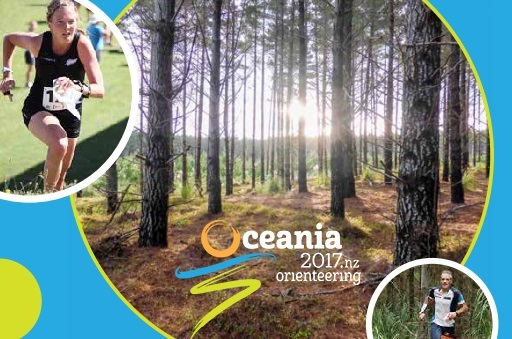 Follow New Zealand Orienteering Carnival 2017 on Facebook for updates via Facebook. A “News and Updates” page has been added to the Oceania2017.nz website. Please keep an eye on it for the latest news and updates as they become available. Unmapped Slips: Cyclone Debbie delivered torrential rain to the Wairamarama-Brien-Ponganui loop road area last week, resulting in a large number of landslides. Fortunately there are only a few small slips on our map according to the farmer. These will not be mapped. Refer to Oceania2017.nz “News and Updates” page for details and photo. Slips on access road: The main access road to the event (Wairamarama-Brien-Ponganui loop road) is open,there are about 6 places where the road is reduced to one lane because of slips onto the road or slips on the downhill side of the road, like this. The road is passable but please drive with caution and allow extra time. Refer to Oceania2017.nz “News and Updates” page for further detail and photo. Cyanide bait: Cyanide bait has recently been laid on various farms in the area, with our farmer having no control over its timing. Refer to Oceania2017.nz “News and Updates” page for further detail and photo. The full event bulletins are available online and will be available in hard copy at registration. The Bulletin has all the information you should need on each of the days events. Oceania and Middle Earth Information Bulletin 2 is available to download from the Oceania2017.nz “News and Updates” page. World Masters Games 2017 and WMOC2017 Information Bulletin 2 is available from the Orienteering sport page on the World Masters Games 2017 website. Oceania and Middle Earth Start Lists are here. World Masters Games 2017 and WMOC2017 start lists are here. For those who are traveling to Rotorua for the Middle Earth carnival, we have some special offers from Te Puia for you to enjoy in your downtime. Te Puia is located only minutes from central Rotorua and is home to the world famous Pohutu Geyser as well as the New Zealand Māori Arts and Crafts Institute. Te Puia is offering a special traditional Māori hangi buffet dinner and cultural performance for all Middle Earth participants on the evening of Wednesday 19 April. This is a great deal for a world famous tourist attraction. The cultural performance is an interactive show, as men will learn the Haka and women learn the poi. Orders for Te Puia Dinner close at 11:59pm on Sun, 16th April 2017. Details are included in the Oceania 2017 Bulletin 2.